The Tuesday bird walk went to Rathtrevor Provincial Park in Parksville. The morning was sunny with calm winds, although it was cool in the forest out of the sunshine. We had a great morning of birding. We watched a flock of thirty Black-bellied Plovers and about two hundred Dunlin dance in the sky for several minutes and then land on the rocks at the point. When we looked closely at the flock we discovered that there were nineteen Surfbirds in among the flock. Two Brant were just off shore. The group had great views through the scope at a Yellow-billed Loon diving and returning to the surface further off shore. A Pigeon Guillemot, two Marbled Murrelet and several flocks of Common Murre were also seen further offshore. 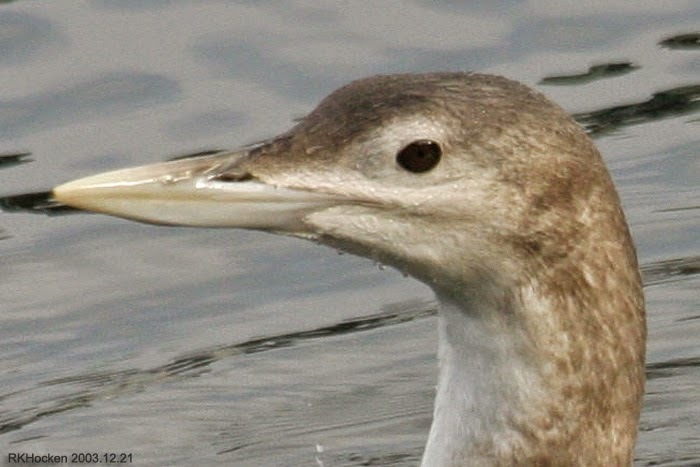 Yellow-billed Loon: Ralph Hocken Photo. 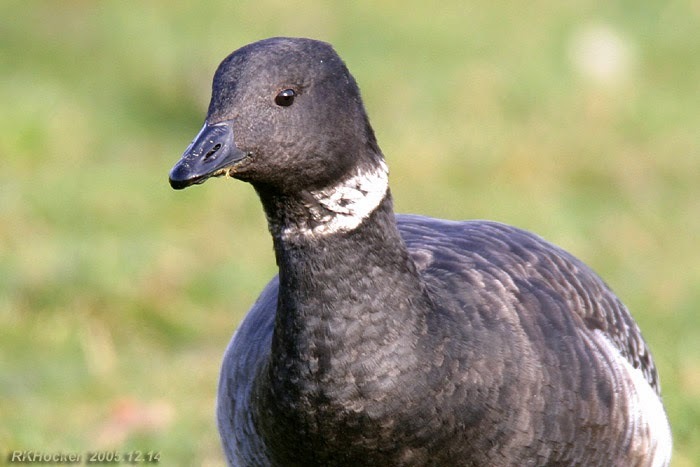 The Tuesday bird walk on January 06, 2015 will be going to the Little Qualicum River Estuary. The Sunday bird walk went to the Nanoose Bay. The morning was partly cloudy with a cold wind off the Strait of Georgia. 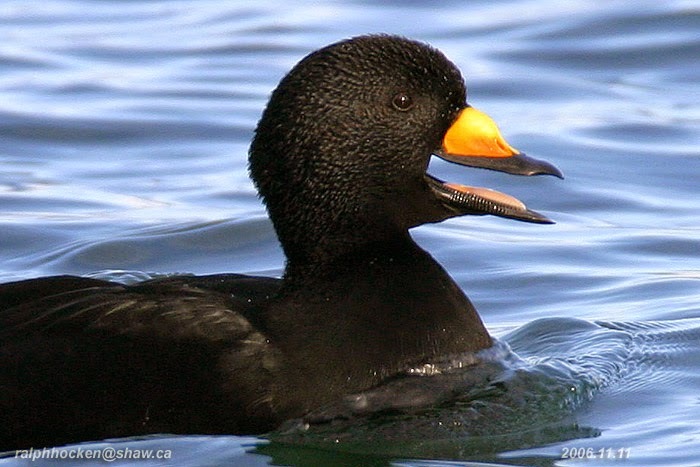 Five Black Scoters were seen swimming near the oyster beds. We spotted a Northern Shrike perched on a short bush near Nanoose Creek. A Red-tailed Hawk was perched in a conifer not far from us. Common Mergansers, Red-breasted Mergansers and two Hooded Mergansers were not far from shore. A Pigeon Guillemot was seen further from shore. Six Ruby-crowned Kinglets were seen feeding near the ground close by two birders at Rebecca Spit on Quadra Island. 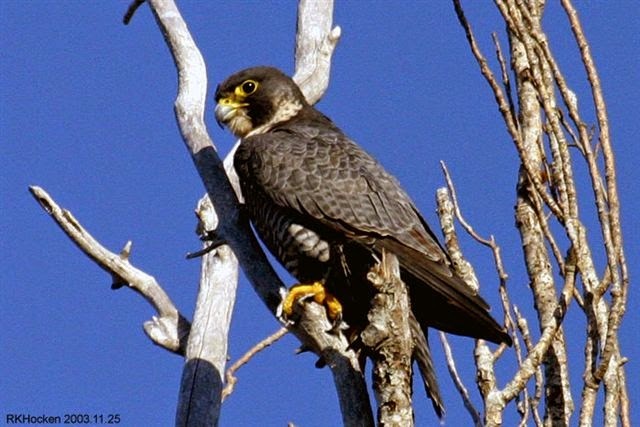 Peregrine: Falcon: Ralph Hocken Photo. at the parking lot near the Lions Club Playground in Parksville Community Park at 9:00 a.m. or at the main parking lot at Rathtrevor Park at about 9:10 a.m. 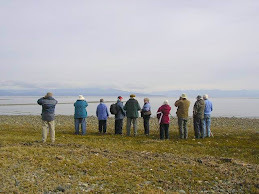 The Sunday bird walk on January 04, 2015 will be going to the Plummer Road side of the Englishman River Estuary in Parksville. Meet at the Bird Store at 9:00 a.m. or at the corner of Plummer Road and Shorewood Drive in Parksville at about 9:25 a.m. The Tuesday bird walk went to the Shelly Road side of the Englishman River in Parksville. The morning started out with light showers and strong winds off the Strait of Georgia, but when the showers stopped we had a good morning of birding. We spotted a Ruby-crowned Kinglet feeding low in the bushes next to the parking lot. A flock of Pine Siskins were feeding and singing at the top of a tall tree above the Ruby-crowned Kinglet. 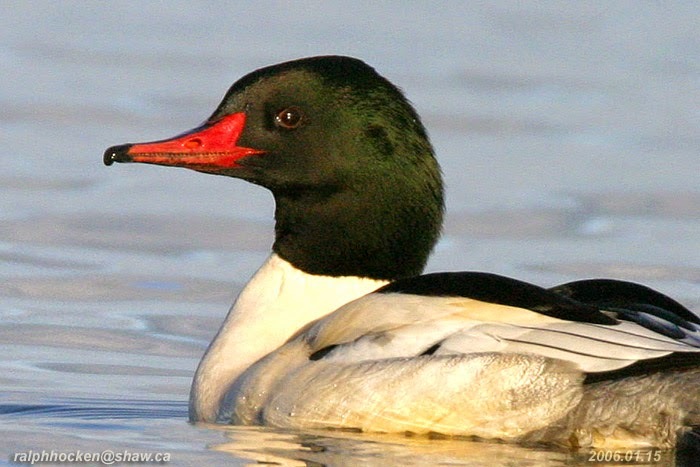 A flock of Common Mergansers were resting on the banks of the river. A flock of Canada Geese, a Cackling Goose and a Snow Goose all flew in and landed on the river. Two flocks of Common Murre were flying up the Strait. 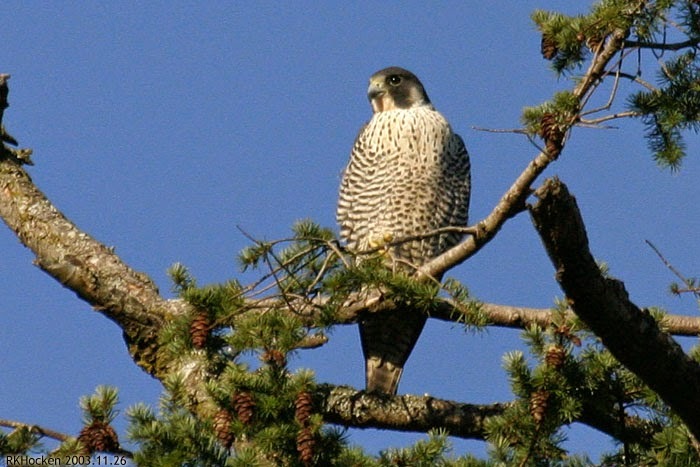 The resident Peregrine Falcon was perched in its usual spot high on a snag looking down on us as we looked up at him through our scopes. 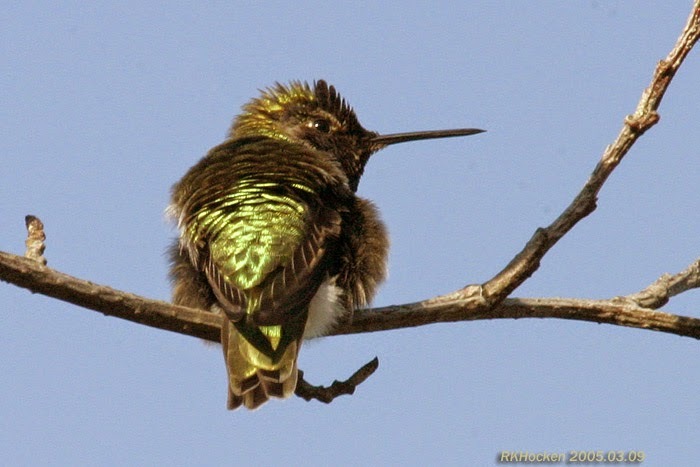 An Anna's Hummingbird was perched on a snag next to the trail. 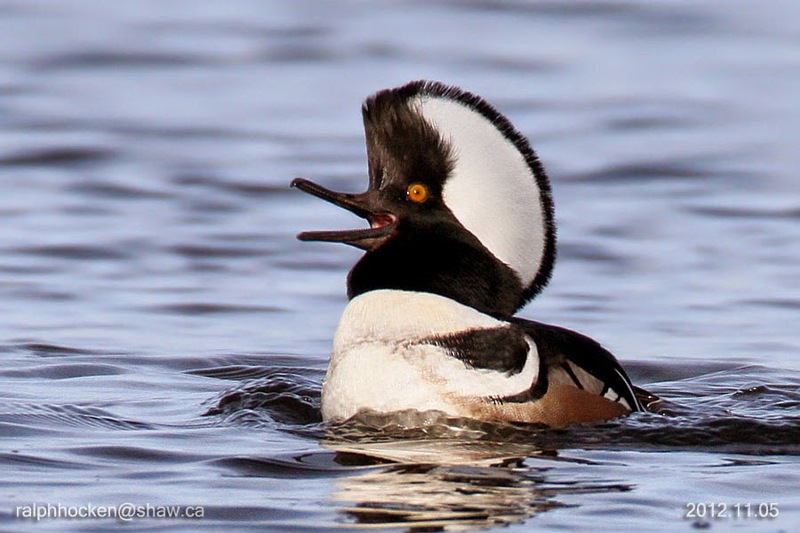 The Tuesday bird walk on December 30, 2014 will be going to Rathtrevor Provincial Park in Parksville. The Sunday bird walk went to the Nanaimo River Estuary in south Nanaimo. The morning was partly cloudy with sunny periods and calm winds. Highlights included seeing a Northern Harrier fly low over the field next to the parking area. We had many great looks at a Rough-legged Hawk Perched at the top of a short bush close to us. 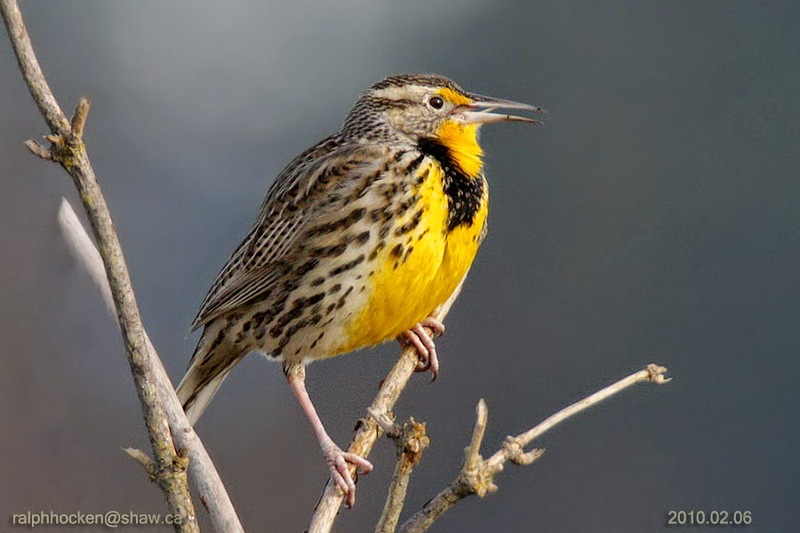 We saw fourteen Western Meadowlarks with two of them perch on a log looking straight at us giving us awesome views of their bright yellow breasts. A Cooper’s Hawk and two Red-tailed Hawks perched for a long time giving us ample time to study them. Rough-legged Hawk with prey: John Purves Photo. A Townsend’s Warbler was spotted in a backyard along Kenwill Drive in Nanaimo. The Tuesday bird walk went to Deep Bay. The morning was filled with light rain and the Strait of Georgia was calm. 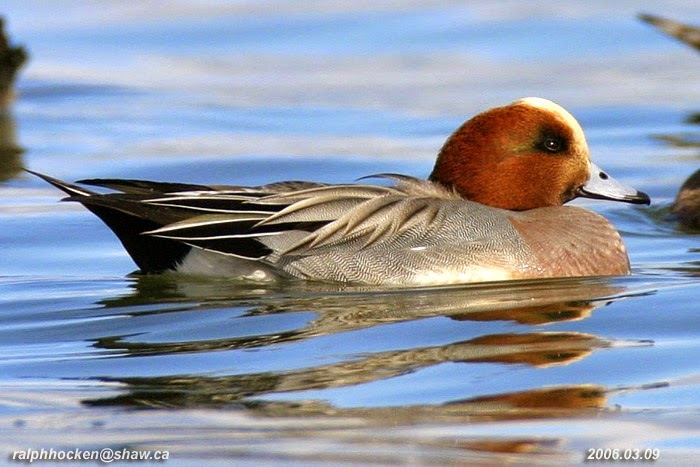 The highlights included seeing a Eurasian Wigeon in with a huge flock of American Wigeon next to the parking lot. Large numbers of singing Black Scoters along with many White-winged Scoters were not far from shore. Fifteen Long-tailed Ducks, two Marbled Murrelets, two Common Murre and a Pigeon Guillemot were diving and surfacing just off the Point not far from shore giving great views. 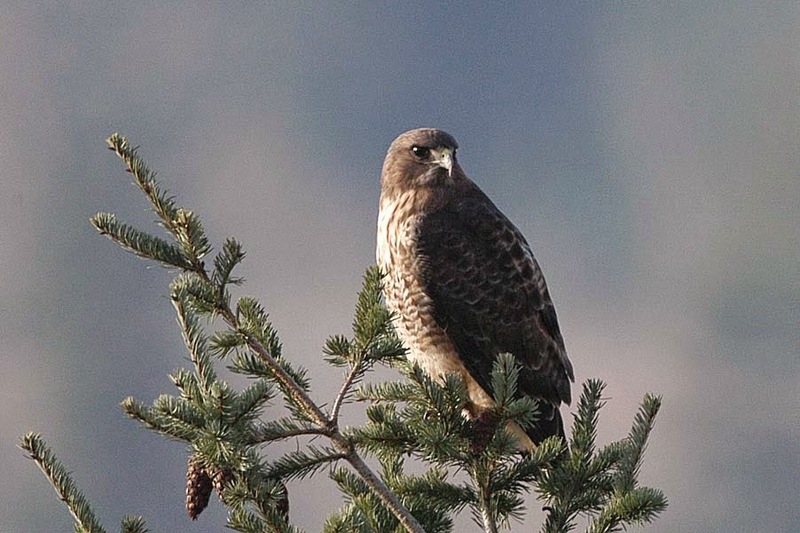 A Rough-legged Hawk was seen at the Nanaimo River Estuary in south Nanaimo. 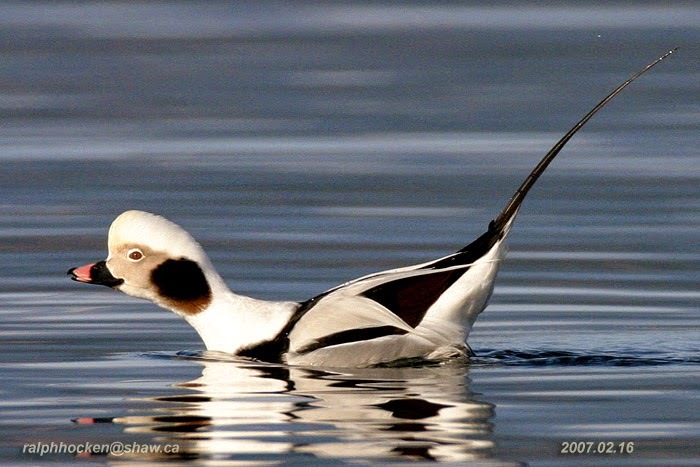 The Tuesday bird walk on December 23, 2014 will be going to the Shelly Road side of the Englishman River in Parksville. Meet at the parking lot near the Lions Club Playground in Parksville Community Park at 9:00 a.m. or at the end of Shelly Road off the Oceanside of highway 19a at about 9:10 a.m. 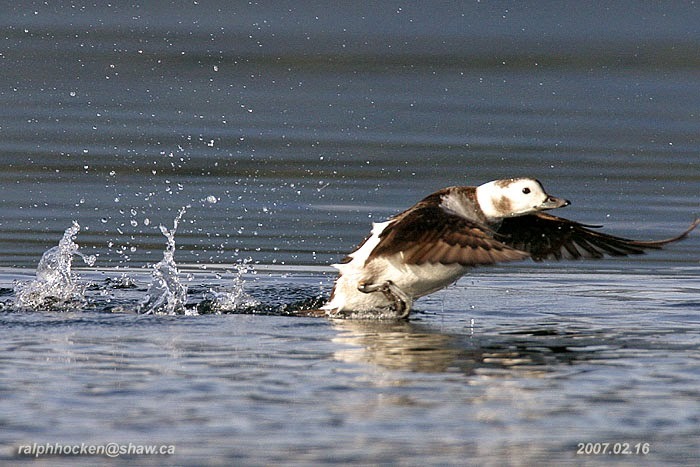 The Sunday bird walk on December 28, 2014 will be going to Nanoose Bay. Meet at the Bird Store at 9:00 a.m. or at the beach near the Church Camp off Arlington Road at about 9:15 a.m. 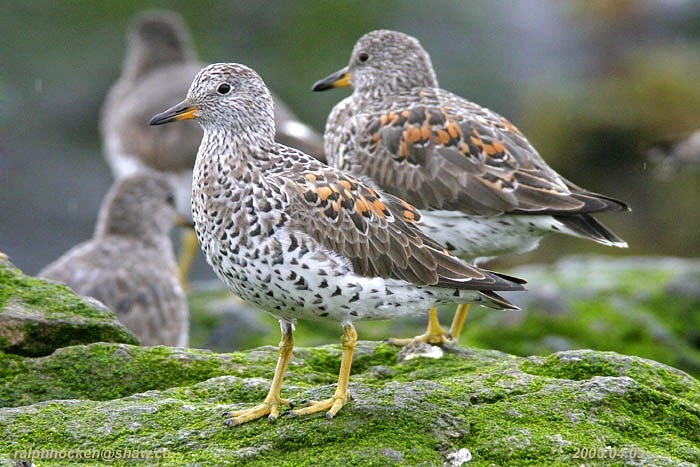 The Tuesday bird walk on December 23, 2014 will be going to the Shelly Road side of the Englishman River Estuary in Parksville.